T his Saturday, Feb. 28, the Maison du Développement Durable in Montreal will play host to the Along the Pipeline photography exhibition. Presented within the confines of the Nuit Blanche, this promises to be an exciting evening with cocktails, pipelines and lots of people. If you are in Montreal and free, please stop by. Afterwards you can continue on to one of the many numerous events happening all across the city. Can’t make the opening on Saturday? Don’t worry, the exhibit will be displayed until March 17, 2015. 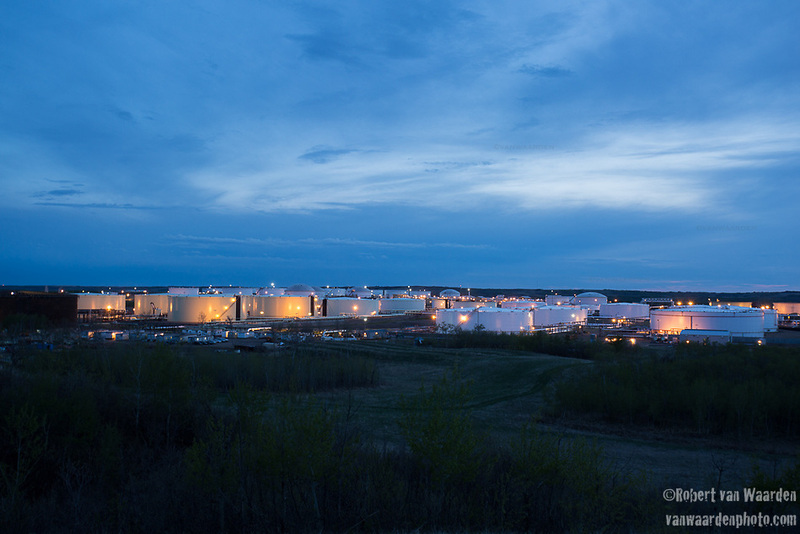 The Hardisty Tank Terminal, beginning of the proposed Energy East pipeline. My latest photography project, Along the Pipeline, is underway. I am currently in Regina and I have been on the road for the last couple of weeks. My journey has taken me from Hardisty in Alberta and will continue to the East Coast of Canada. I have been photographing the individuals and the route of the proposed Energy East pipeline to find out what it means to Canadians and First Nations. It has been a great experience. I have met ranchers, farmers, oil workers, and foreign workers. 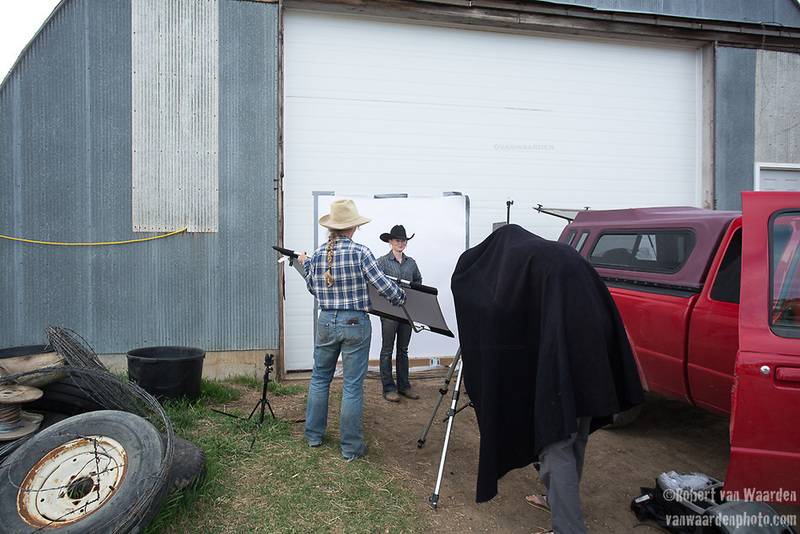 Photo session at the Gould Ranch in Alberta. 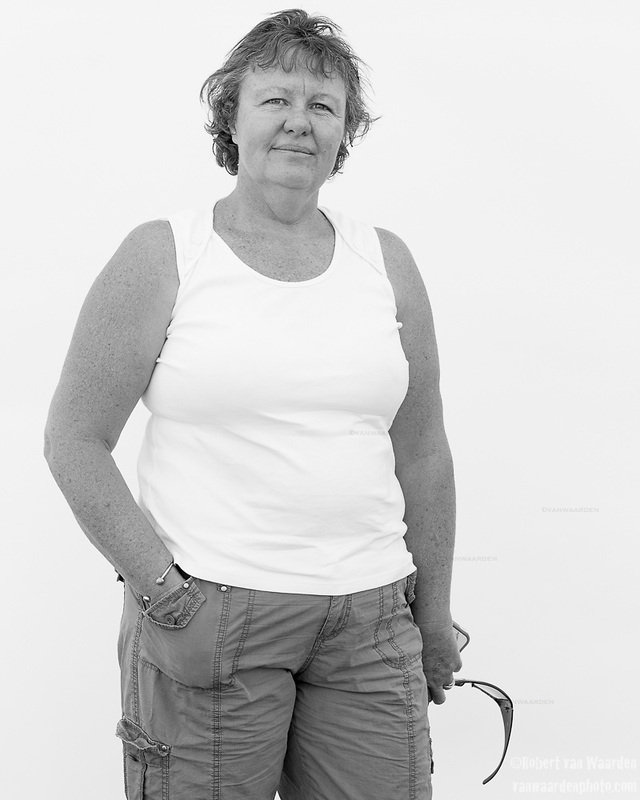 The project focuses on a series of large format portraits created on a 4×5 film camera. Each image will eventually be combined with a quote or little anecdote from that individual explaining their position on the pipeline and the future of Canada. I hope that the photographs will create a journal and record of some of the people along the route and how they will be affected. You can follow all of the updates and the journey at my sister website, AlongthePipeline.com. From here I will keep moving east. 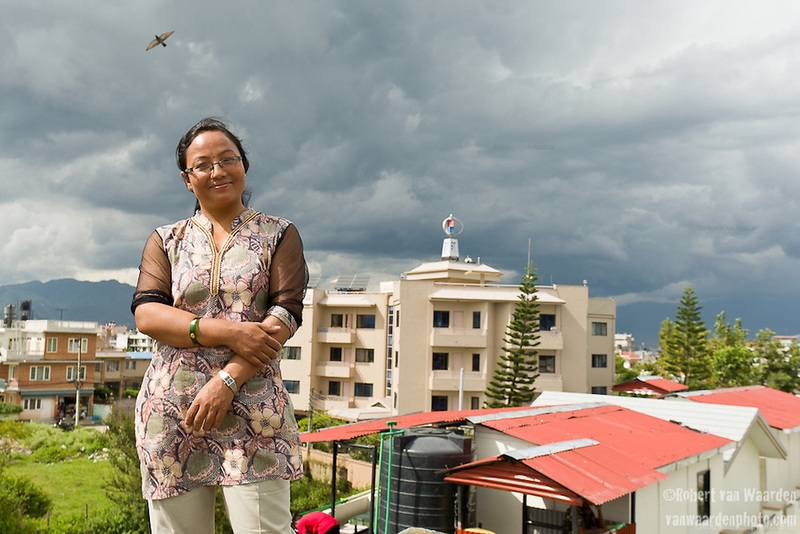 “I have seen a bright future for wind energy in Nepal, because a lot of wind energy potential has been predicted,” says Aruna Awale, manager of the wind energy department at the Alternative Energy Promotion Centre in Kathmandu, Nepal. 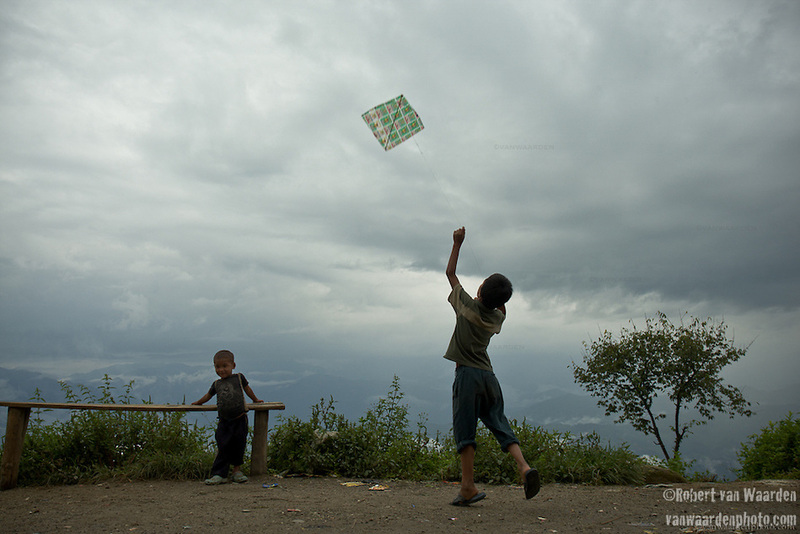 From the window of her office, she can see one of the few operating wind turbines in Nepal. It is a small Maglev vertical access turbine. 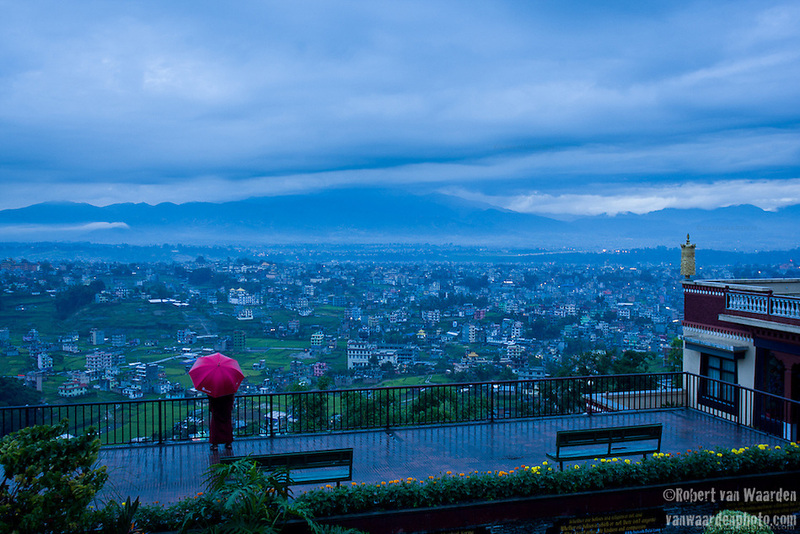 It turns rapidly in the wind that blows through the Kathmandu valley. It is a sign of more to come if Ms. Awale has anything to do with it. Ms. Awale works on data and implementation projects, co-ordinates meetings and conferences, and meets with national and international stakeholders. She credits her work for giving her more confidence and a huge amount of experience. She especially enjoys the opportunity to travel internationally for different seminars, the highlight of which is often a visit to a wind farm. Nepal faces several problems to implement large-scale wind energy, but interestingly, one of those isn’t finance with many development banks, institutions, or companies ready to step forward. Instead Ms Awale mentions the complex geography and the insufficient infrastructure as the main challenge. The small roads, or entire lack thereof, are often not suited for carrying large equipment to high windy points. The spectacular but difficult geography makes studies and installations more difficult. In order to fully grow in this energy sector, this challenge will have to be surmounted. Perhaps suggest Ms. Awale, one way to do that is to start smaller. Citing a recent implemented pilot project by the Asian Development Bank, Ms. Awale remains confident that wind energy will have a great impact on small communities in Nepal. In the Dhaubadi BDC of Nawalparasi District, 46 households are now connected to electricity by a small wind turbine. This hastransformed the village and made it the envy of neighbouring villages: now everyone wants a wind turbine. “With small scale wind energy, thousands of villages can benefit from wind power where no energy is available, not even for lights.” says Ms. Awale. Ms. Awale has been working at the AEPC for almost a decade and hopes to see some of the available 3000MW potential in Nepal developed, recognizing that it will change the life of many of her fellow Nepalis . For many a Nepali, the answer to electricity problems and the attached poverty issues may simply be blowing in the wind. This blog post is part 8 of a series of wind energy stories from photographer Robert van Waarden. Next week meet Jaap van der Beek, Netherlands farmer who harvests wind amongst his tulips. Like many others, Pat Blount’s life changed on a barstool. Striking up a conversation with the individual beside him, Pat was soon deep in discussion with a representative from wind turbine manufacture Vestas. Pat proceeded to pepper his new companion with question after question about the wind industry and when he left that bar, he set off on a path that would change himself and at least one community along the way. A man of the outdoors and the mountains, Pat always cared about energy conservation and the natural world. His discussion on that bar stool was the push he needed to take the plunge. 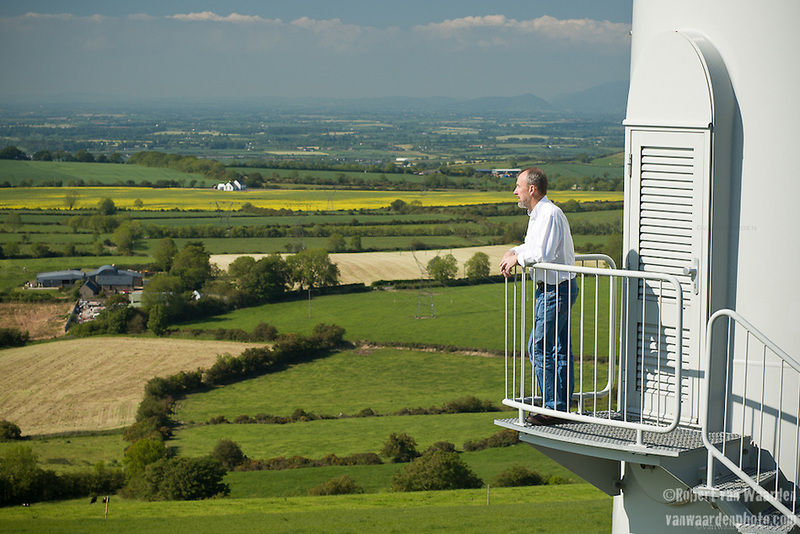 He dove headfirst into the wind industry and identified possible wind sites across Ireland. One of these was in Collon. 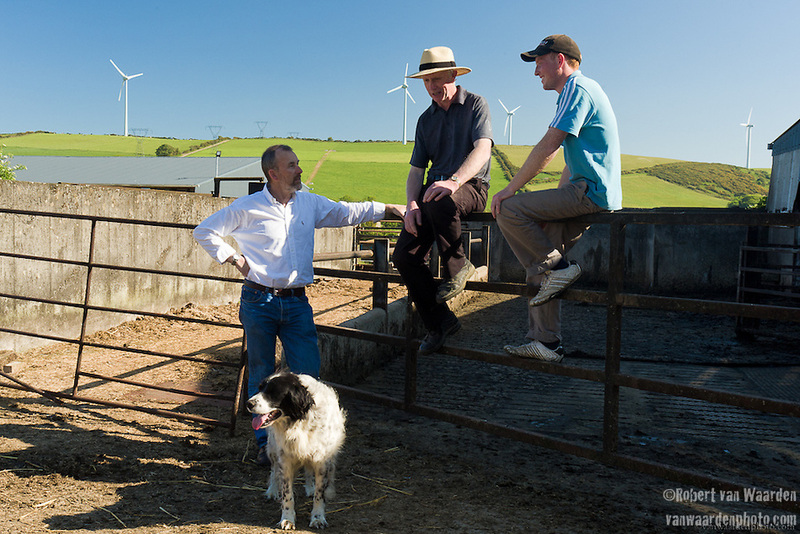 After checking the grid access to the Collon wind site, he found the landowners and invited them to join his business venture. Pat agreed to take the financial risk, if they provided the land and they would be equal owners of the business. Initially, the landowners P.J. and Gerry were skeptical about this opportunity and this strange man who wanted to build on their hill. It took some time for them to come around to the idea, but eventually it was too good an opportunity for them to pass up. Now, Pat, P.J. and Gerry are enthusiastically working on the expansion of their project. But in the meantime, these fast friends take an afternoon break, sitting on the gate in the sun watching the wind turbines spin steadily, silently in the wind. This blog post is part 6 of a series of wind energy stories. Next week meet Nick Suppiat, a man on the verge of completing Thailand’s largest wind farm. One day Piet literally drove off the road, transfixed by a set of wind turbines. He couldn’t have known at that time that this incident would change his life. In a few years he would be bringing wind power to Mali where the poorest communities often pay the highest rates for energy. One thing led to another and Piet started working as an engineer for Siemens wind. After about a year Piet discovered the work of Welsh engineer, Hugh Piggott. 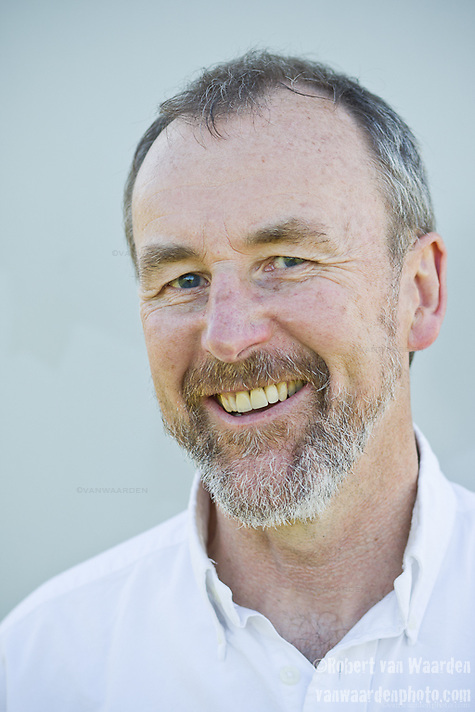 Mr. Piggott is the inventor of an open source, affordable, small-scale wind turbine design. Piet invited Hugh to come and teach a workshop in the Netherlands. It took some convincing, but Mr. Piggott finally agreed. 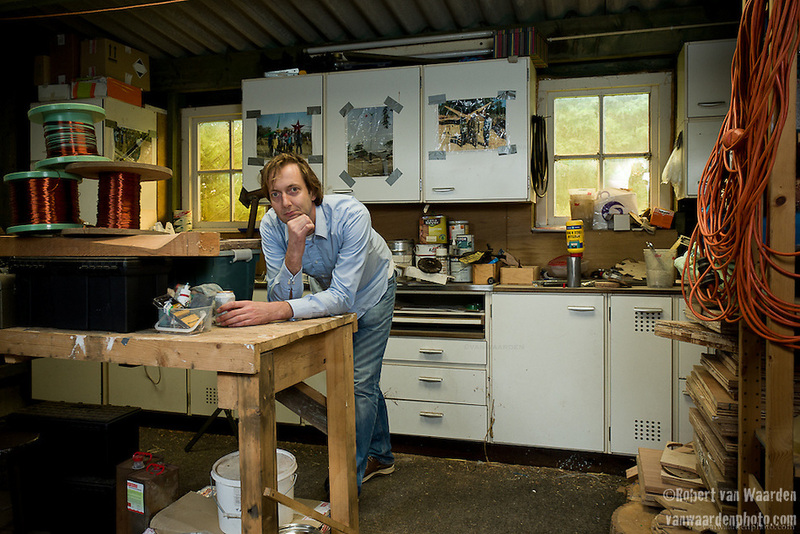 That workshop taught Piet how to build these turbines, and in doing so it changed Piet’s life. Piet knew that he needed to take this new skill and technology to a place where it would be most beneficial and he could pass it on. One of his best friends was from Mali and he figured that Mali was as good as anywhere else to get started. He founded I Love Windpower. Designing a course that was easy to teach, transcended language barriers and used readily available materials, Piet flew to Mali. In two weeks, he and a team of 10 people, 5 who couldn’t read or write and 5 who couldn’t speak any French, built a better turbine then Piet himself had done. The windmills while deliver energy to the homes also had unexpected impacts. Two men participating in the workshop were from different tribes that for the last 20 years haven’t spoke. 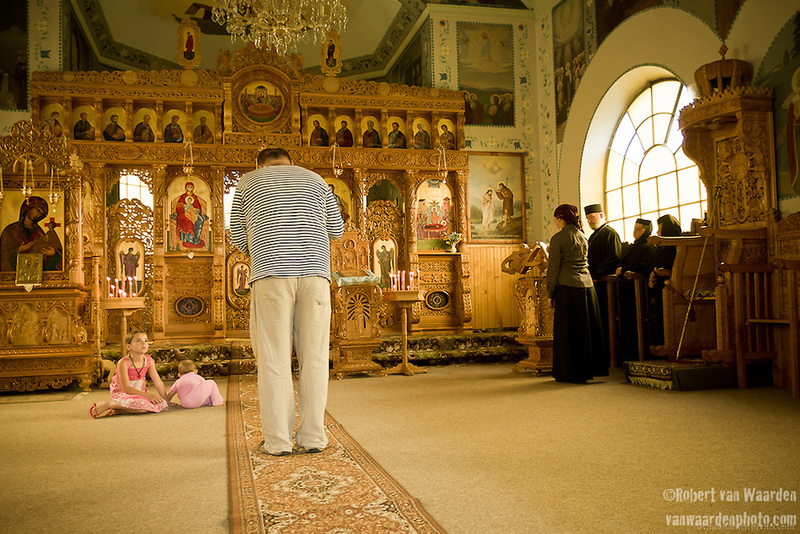 During the workshop the two men became great friends and now the tribes are talking to each other again. The sense of identity and ownership derived from this windmill project has been remarkable. “This is something that I never realized when starting this. Even if this project is going to fail completely and they never make a business out of it – which I still believe is possible and just takes some more time – every investment has accomplished so much from a social and identity perspective. 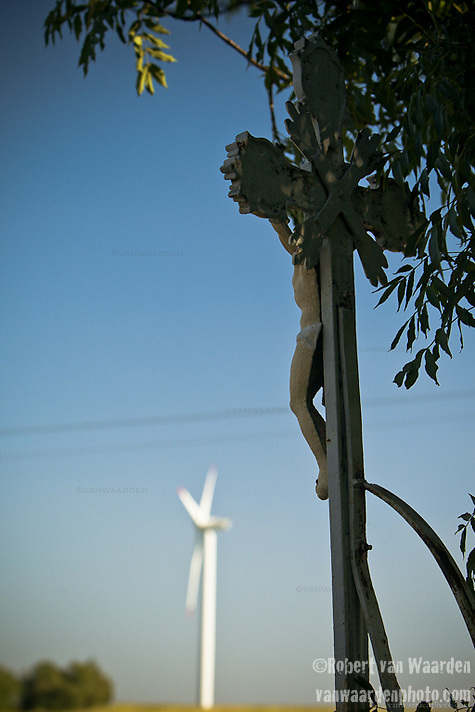 Recent events in Mali have threatened I Love Windpower’s projects. Not only because of the military coup and the rebel unrest, but because of an impending food crisis. Piet recently wondered whether his little amount of money would be better used feeding people. After much debate with his team, they decided to keep the project running. They decided that giving these people something to be proud of and which one day may become a financially-sustainable business was deemed equally important. 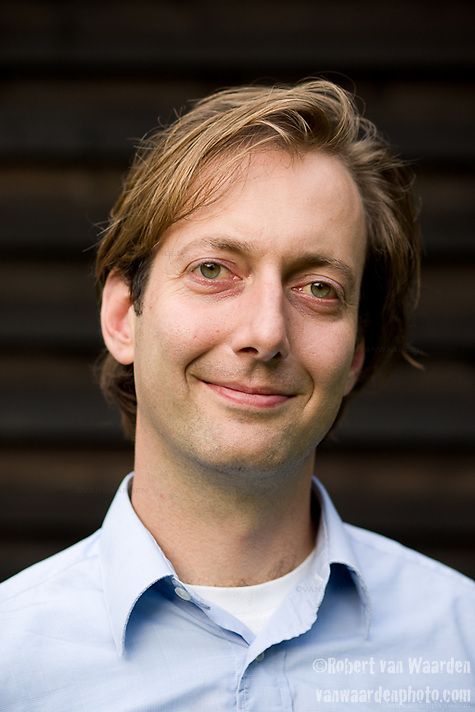 Piet is now also working with Wind Empowerment, a group dedicated to small turbine development across Africa and the globe. He will be attending Rio+20 and setting up windmills around the conference. Some of his volunteers have taken the skills gained with Piet even further and in one case started the Tanzania branch of I Love Windpower. As for the Mali project, it is too early to see where it will go, but one thing remains certain, small-scale windmills are helping build community and identity while providing much needed electricity to Mali. This blog post is part 2 of a series of wind energy stories. Next week meet Amrit Singh Thapa, an engineer from Nepal who has a big wind energy vision. On Assignment: Photography of Durban Climate Change Conference. For the next two weeks I will be on the ground with Project Survival Media in Durban, South Africa at the Conference of Parties (COP) of the UNFCCC. The COP is gathering for the 17 session of yet another attempt to try and prevent the impending climate crisis. The lack of progress at the UN to solve the climate crisis has seriously disillusioned many people, including myself. But, when I see and work with the dedicated and inspiring groups and people all over the world working on this, I know we will solve this problem. For hope, I look no further then the youth at COP, their organisations and networks that collectively organize, share and create real change back home. So, will the nations of the world wake up and put aside their differences and put us on a path to save the only planet we have, or will we be reduced to more bickering and delays? At Project Survival Media we will be reporting on the conference and bringing the under represented voices to the forefront. Keep an eye on Project Survival Media page for our reports, multimedia pieces and coverage of the Durban Climate Talks. If you are interested in some of my past work with climate activists, click here. The project I am working on with Dutch/Nepali artist Shiva Rimal, Climate Oxide, was recently mentioned in Weesper Nieuws (a local dutch newspaper). 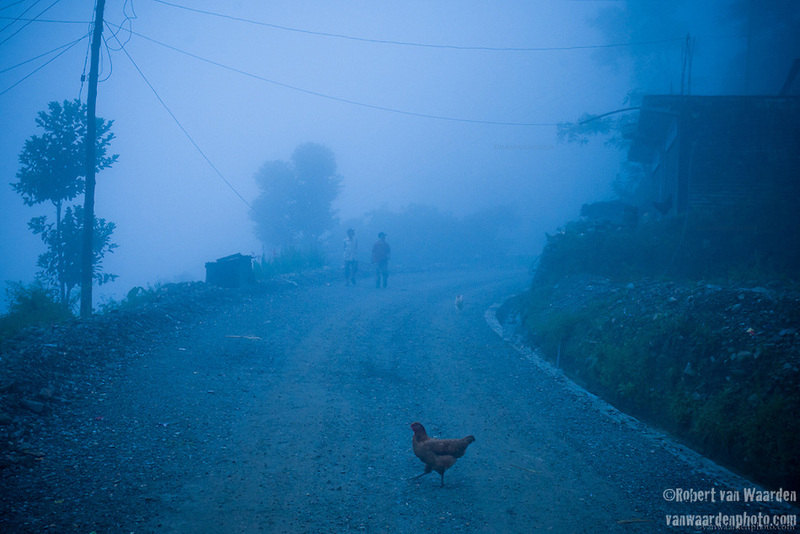 This project is a focus on climate change and identity in Nepal, Canada and the Netherlands. Marieke van Veen wrote a beautiful story on Climate Oxide & Shiva Rimal in a page long interview. This interview is in Dutch, for those interested, click on the image below or click here to go to the pdf file to read the full story.